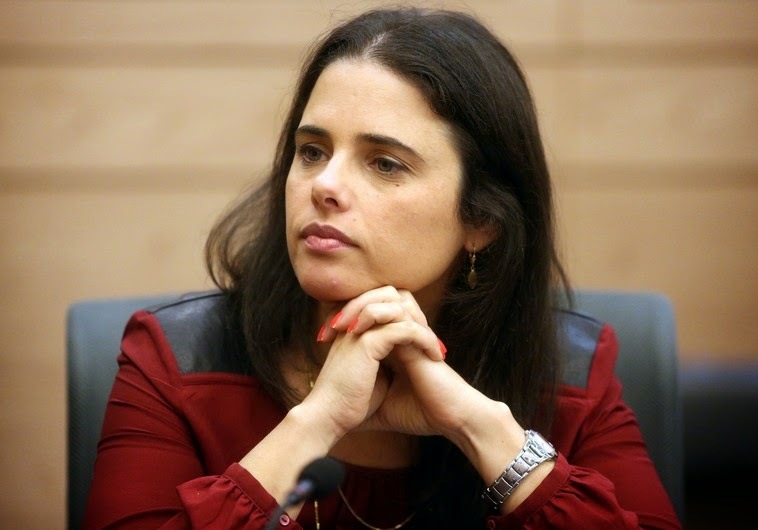 Benjamin Netanyahu has appointed as Justice Minister, Ayelet Shaked, a member of Jewish Home. She is a far-Right member of Knesset who last year, just before Operation Protective Edge (the attack on Gaza) made genocidal statements against Palestinians. This is a war between two people. Who is the enemy? The Palestinian people… an entire people, including its elderly and its women, its cities and its villages, its property and its infrastructure. ‘The morals of war accept as correct in principle, not only politically, what America has done in Afghanistan, including the massive bombing of populated places, including the creation of a refugee stream of hundreds of thousands of people who escaped the horrors of war, for thousands of whom there is no home to return to. These comments have not yet appeared in the New York Times. In her report of Netanyahu's attempts to form a coalition, NYT Jerusalem bureau chief whitewashes Shaked’s record. An outspoken hawk? Shaked said Israel was at war with all Palestinians, including the elderly. 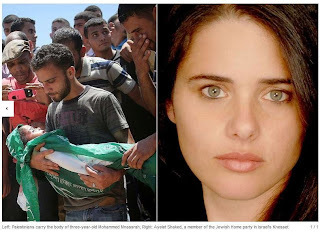 Ayelet Shaked, who is part of that supposedly “small strain,” may well become the number one law enforcement officer in the entire country. 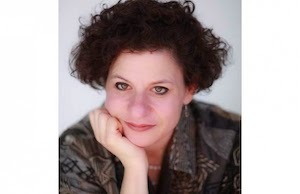 Rudoren or maybe her editors are still smarting over the fact that Netanyahu refused to grant her an interview during and after the election campaign that he won two months ago. 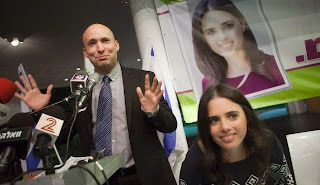 Maybe this effort to cover up Shaked’s pro-genocidal views is an audition for an interview with the prime minister.